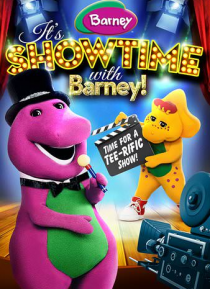 IHG® Rewards Club - Movies - Barney: It's Showtime with Barney! Lights, Camera, Action... Barney is ready to put on a tee-rific show! While everyone is excited to see the Harambee Dance Troupe, it may be curtains for Melanie's movie premiere. Baby Bop worries about trying something new, as others around her share what they can do. Take center stage as you sing and dance along with Barney and his friends!